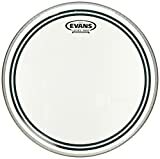 The Evans EC2S Clear gives a big attack and a solid mid and low-end sound. 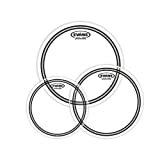 Control rings reduce overtones and add focus to the sound. 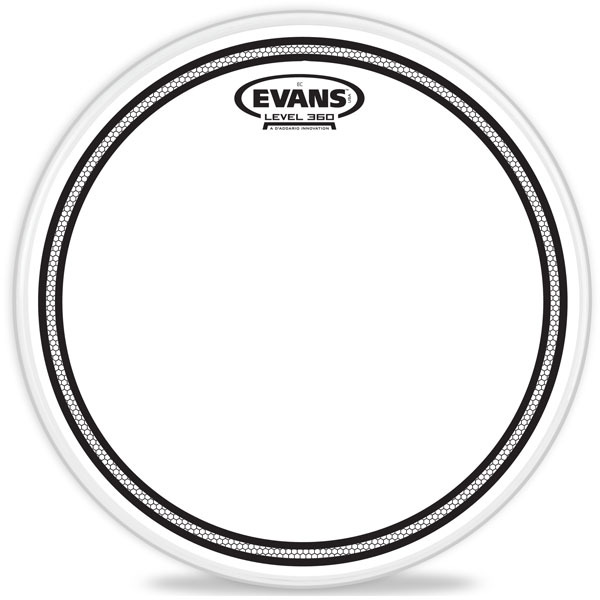 The Evans EC2S Clear is made with two clear plies of 7mil film, and control rings around the drumhead. 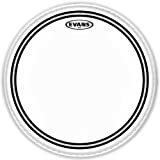 This is a great drumhead choice for medium and high volume environments. 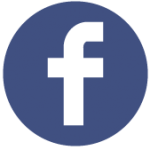 The control rings add focus and increase the attack. 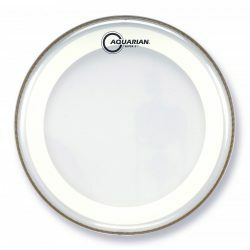 This, combined with the brighter sound of the clear plies, allows you to cut through in a loud mix. 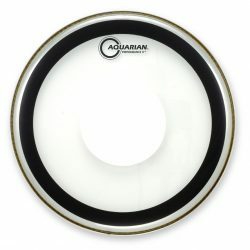 These drumheads can handle harder hitting, and will give a big cutting sound with a short sustain. The EC2S is still fairly responsive for a 2-ply drumhead, although may not be sensitive enough to use at very low volumes. 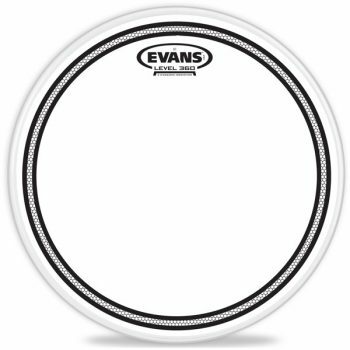 The sound of the Evans EC2S is focused thanks to the control rings, which work to reduce ringing overtones occurring around the outside of the drumhead. 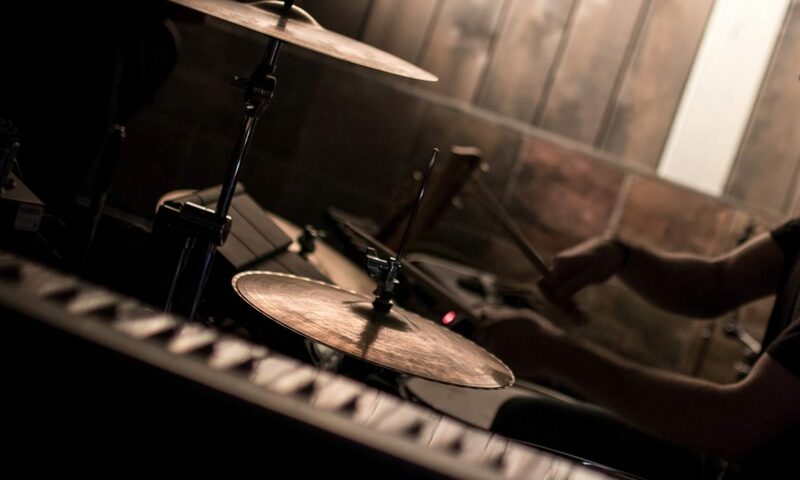 The overall sound is very concentrated on the fundamental note, without overtones getting in the way. Compared to the Frosted EC2S, the Clear Evans EC2S has a brighter and more cutting attack, which helps in very loud environments. After the initial bright attack, this drumhead gives a shorter warm sustain. The sound of the Evans EC2S Clear is well suited to live playing, especially on toms. 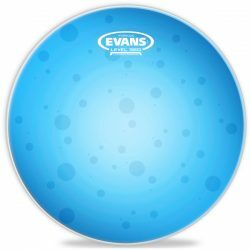 If you’re looking for a short deep tone with a brighter attack, the Evans EC2S Clear is a great choice. Note: If you play with brushes, the clear surface will not be responsive enough. 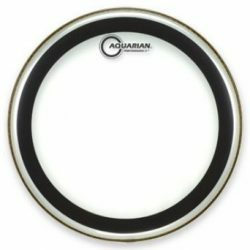 Take a look at the slightly warmer sounding EC2S Frosted for a very similar drumhead that is usable with both drumsticks and brushes.